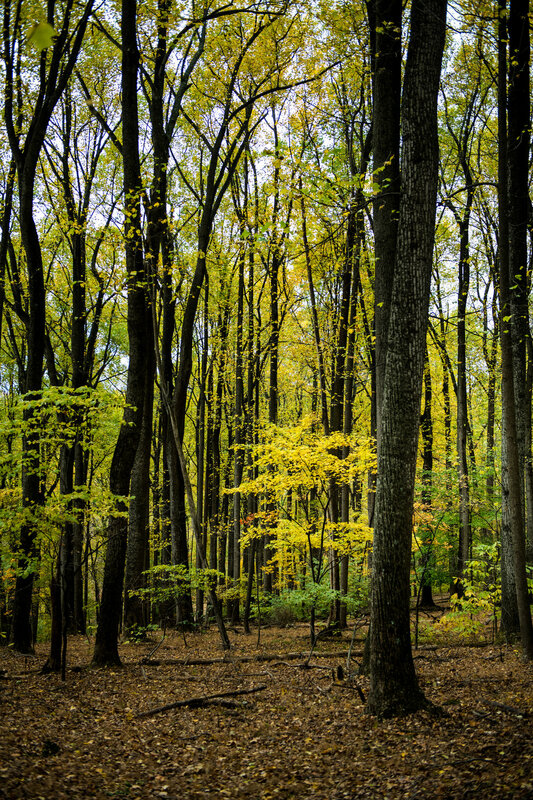 With a weekend of beautiful weather, fall color, and a new Nikon D850, I set out to capture some of the wonderful sights in the area. One of my favorite go-to's for a great shot is Harper's Ferry, West Virginia. 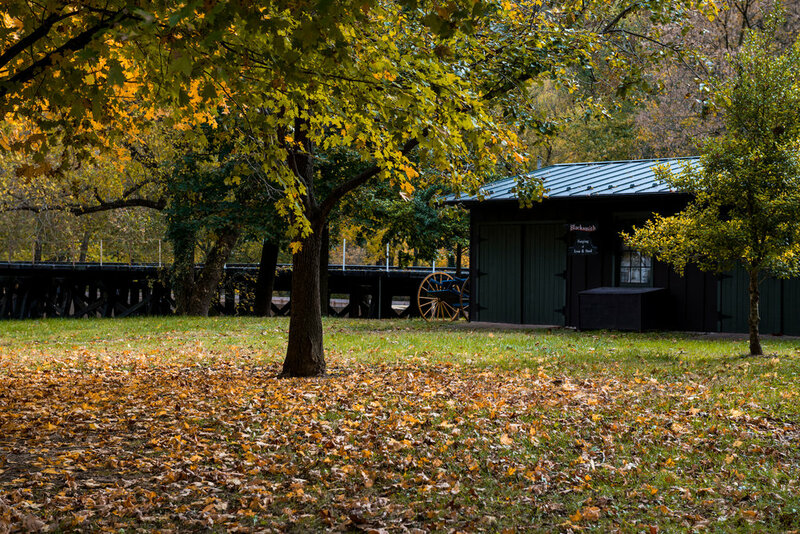 This small city, which is also part of the National Park System, sits at the intersection of Maryland, Virginia, and West Virginia. 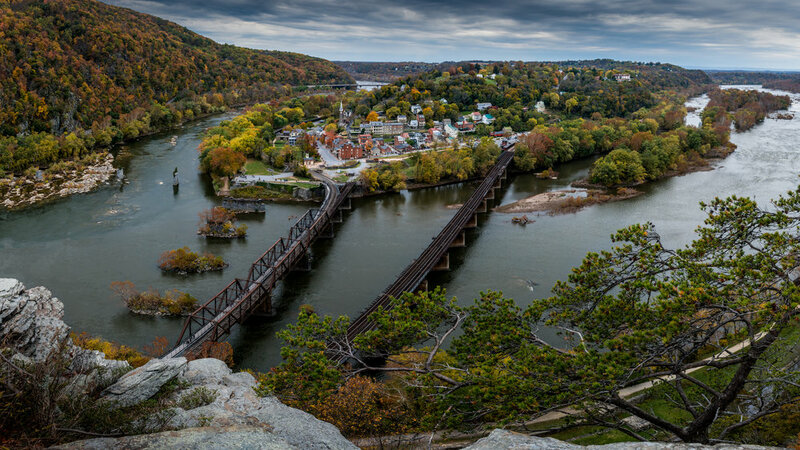 Harper's Ferry is incredibly picturesque, but my favorite spot is on top of the Maryland Heights overlook. It has been several years since I've hiked the 2.5 mile trail to the overlook of the town, so we set out with the dog for a hike and a view. The trail to the overlook has the following profile: uphill, followed by extreme uphill, then a stretch of straight uphill with a tease as though it will go back downhill before going uphill..... In other words, by the time I reached the top, I was more focused on my jello legs than I was on the photography. Thankfully the view brought me back to the task at hand quickly, and I took the following images before the knee-breaking downhill journey. This was also my first serious outing with the new Nikon D850, and a chance for me to see how it held up in real-world landscape shooting. So far so good! There are certainly some notable differences between the D850 and Leica SL, but I'm leaning to embrace my new camera.